Need help getting through the humbug of holiday prep? Take a break to enjoy one of these delights. 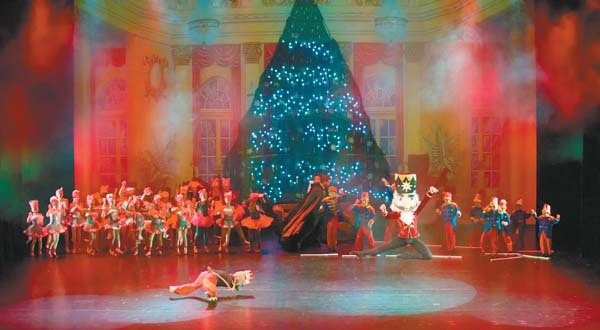 A wealth of holiday performing arts offerings are happening all over the island in the coming weeks. Maui audiences are in for a particularly sweet treat this weekend when the Maui Academy of Performing Arts revives its biennial production of “Nutcracker Sweets” in Castle Theater at the Maui Arts and Cultural Center in Kahului. MAPA’s abbreviated adaptation of Pyotr Ilyich Tchaikovsky’s “The Nutcracker Suite” stars 141 Maui dancers and stage performers this year. The treasured holiday classic tells the story of Clara (a shared role with Abigail Walton and Camry Gach), a young girl given a nutcracker by Herr Drosselmeyer (Jerry Eiting), a magical toymaker, at a Christmas Eve party hosted by her mother (Camille Romero) and father (William Makozak). At bedtime, as Clara nestles under the Christmas tree hugging her beloved doll, she dreams of adventures with her Nutcracker Prince (Christopher Borer) as he battles an army of mice. The two then board an enchanted sleigh and journey to the Kingdom of Snow, where they encounter the Snow Queen (Randi Lonzaga). They later venture across the Lemonade Sea to the Land of Sweets. As they reenact the night’s events, the Sugar Plum Fairy (Jenna Okazaki) expresses her admiration for Clara’s and the Nutcracker Prince’s heroism, and treats them to a celebration performance presented by the many colorful inhabitants of the kingdom. At the close of the festivities, Clara again falls asleep, awakening back in her home where she is saluted by the departing Nutcracker Prince. What makes MAPA’s production so unique is that it brings together current youth dance students, alumni, dance instructors and members of the Maui performing arts community. Combined with stunning costumes and beautiful choreography, “Nutcracker Sweets” is a perfect holiday gift for the entire family. It will dazzle audiences of all ages — whether you are introducing a child to the magic of this story for the first time or honoring a tradition of seeing the beloved ballet for the umpteenth time. • The Maui Academy of Performing Arts presents “Nutcracker Sweets.” Performances are at 7 p.m. Saturday and 3 p.m. Sunday in Castle Theater at the Maui Arts & Cultural Center in Kahului. Tickets range from $18 to $30 (plus applicable fees) with discounted tickets available for keiki 12 and younger. To purchase tickets for any MACC event, visit the box office, call 242-7469 or order online at www.mauiarts.org. Another Maui holiday tradition resumes next weekend when Seabury Hall Performing Arts hosts its annual — and perennially sold-out — Holiday Performing Arts Concert. Director of Dance David Ward will celebrate the performing arts department’s 30th anniversary with the advanced Seabury Hall Dance Ensemble members by restaging “Common Change,” the very first modern piece he staged at Seabury. This three-movement piece shifts from the beginnings of life, through the struggles that humans face within society, to the end of life, in a rising-from-the-ashes finale that finds grace, balance and harmony. “Although it’s 30 years old, it’s issues are current — and perhaps even more relevant today,” says Ward. Guest artist Hallie Hunt, co-founder and artistic director of Adaptations Dance Theater, has set a contemporary take on tango for the ensemble. Choreographer Andre Morissette teams up with Seabury band director Phil Proctor with a live music collaboration between Proctor’s percussion students and Morissette’s Level B dancers. “I am interested in bringing together different disciplines to create unusual artistic experiences,” says Morissette. Ballet teacher Vanessa Cerrito combines her Ballet I and II dancers in “Prisms,” set to the music of Ludovico Einaudi, and a piece set to Mozart’s “Requiem” for her Ballet III students. 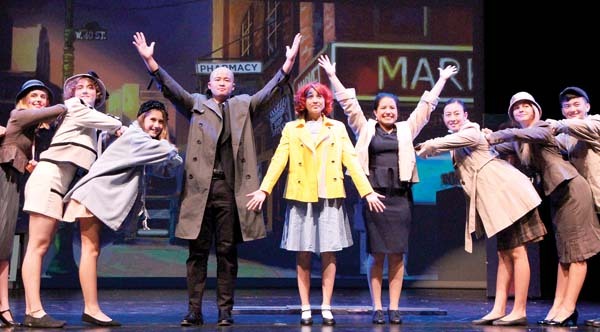 In drama, the program reprises several numbers from the recent musical “Anything Goes,” an impressive tribute to the grandeur of 1930s musicals that sparkled with fabulous costumes, an abundance of laughs and many lavish full-cast musical numbers. “Following the great success of the show, we wanted to give these kids one more opportunity to showcase their talents,” says Ward. • Performances are at 7 p.m. Dec. 14 and 15 in the ‘A’ali’ikuhonua Creative Arts Center at Seabury Hall in Makawao. Tickets are $12 in advance or $15 at the door, and include complimentary beverages and a dessert buffet. 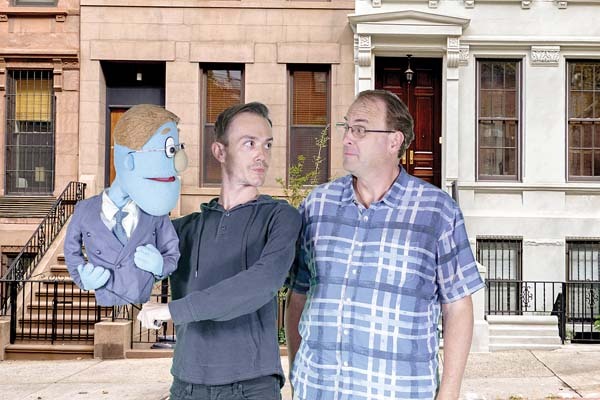 Demand for seats runs high for this one-weekend-only affair, so reservations are recommended. Purchase discounted tickets in advance online at www.sea buryhall.org. 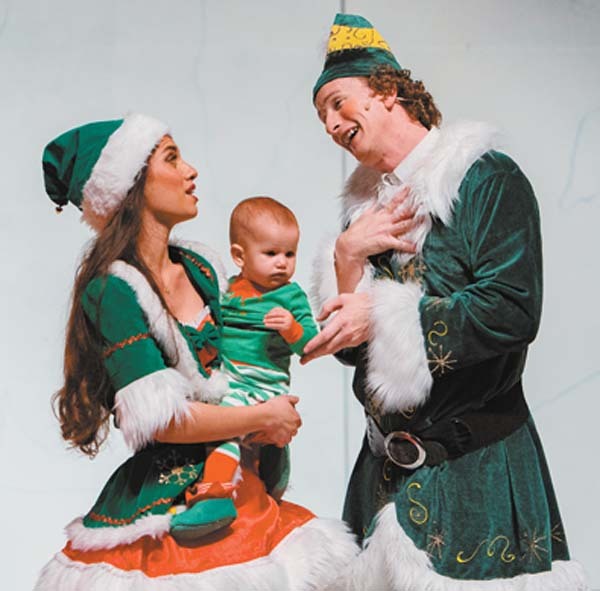 Maui OnStage concludes “Elf The Musical,” music by Matthew Sklar, lyrics by Chad Beguelin, book by Thomas Meehan and Bob Martin, directed by Dale Button, choreographed by Kalani Whitford and under the musical direction of Kim Vetterli. 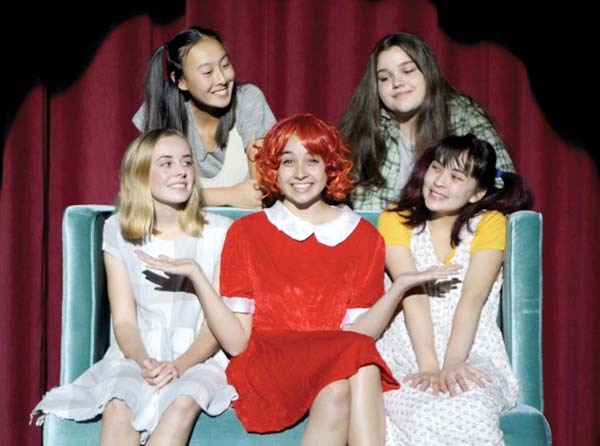 • Performances are at 7:30 p.m. Friday and Saturday, with matinee performances at 2 p.m. Saturday and 3 p.m. Sunday at the Historic Iao Theater in Wailuku. Tickets range from $20 to $40. To purchase tickets for any Iao Theater event, call 242-6969 or order online at www.mauionstage.com. 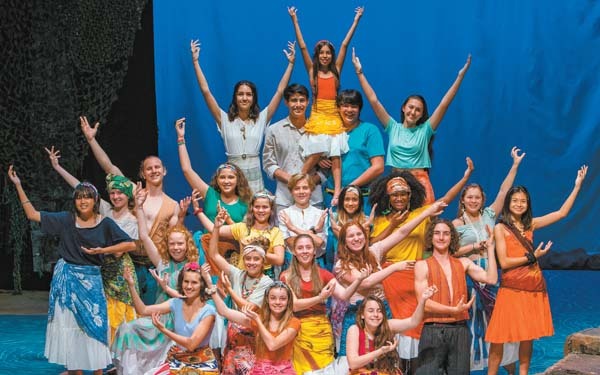 ProArts Youth Theater concludes “Disney’s Aladdin JR.,” music by Alan Menken, lyrics by Howard Ashman, Tim Rice and Chad Beguelin, book by Beguelin, directed by Francis Tau’a and Kirsten Otterson. • Performances are at 7 p.m. Friday and Saturday at the ProArts Playhouse in Azeka Place Makai in Kihei. Tickets are $15 for adults and $8 for students 16 and younger. For more information or to purchase tickets for any ProArts event, call 463-6550 or visit www.proartsmaui.com. ONO! 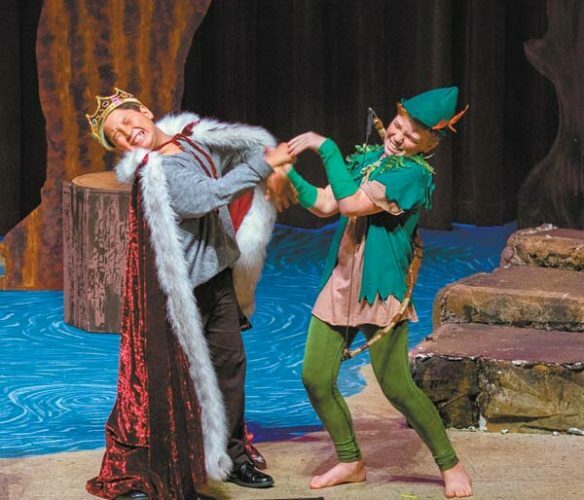 returns at 6:30 p.m. Monday to the Historic Iao Theater with a family-friendly holiday performance. The program includes classical Christmas songs performed by Maui Madrigale and a reading of Truman Capote’s “A Christmas Memory,” performed by Paul Janes-Brown. In a second act performance, Rick Scheideman presents the Dylan Thomas poem, “A Child’s Christmas in Wales.” Arguably Thomas’ most popular work, this lengthy poem is a descriptive re-telling of Christmas memories from the perspective of a young boy growing up in a small-town in Wales. The story originated from a BBC radio appearance by Thomas during the Christmas week of 1952, shortly after the death of his father. Children’s toys will be collected by the Friends of the Children’s Justice Center of Maui outside the theater prior to the show. A toy contribution is not required for admission. The free ONO! performances are every second Monday of the month. For more information, visit www.mauionstage.com. Rick Bartalini presents Bill Maher’s 8th annual New Year’s Comedy Extravaganza. Maher will be ringing in the Maui New Year at the MACC once again, joined by standup comedians Natasha Leggero and Carol Leifer. • The performance is 7:30 p.m. Sunday, Dec. 30 in Castle Theater at the MACC. Tickets range from $79.50 to $99.50 (plus applicable fees). For tickets or more information, visit the box office, call 242-7469 or order online at www.mauiarts.org. This performance contains adult content and is not appropriate for children. ProArts Playhouse and Cabaret & Cocktails present “Naughty Noel,” an adult holiday fundraiser for the Kihei theater. This burlesque variety show features music, comedy and dancing with a different host and lineup of entertainers every night. 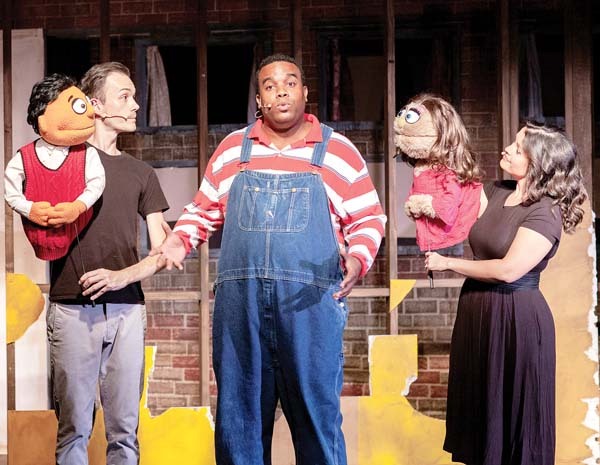 • Performances are at 7:30 p.m. Fridays and Saturdays and 3 p.m. Sundays, Dec. 14 through 23. Tickets are $26. For more information or to purchase tickets, call 463-6550 or visit www.proartsmaui.com. This event contains adult content and is for audiences 21 and older.